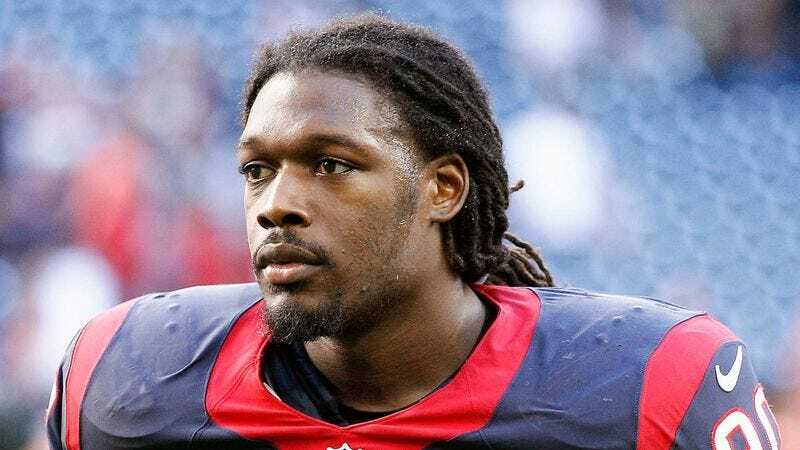 HOUSTON—Noting that the 22-year-old was a “wonderful young man who will be immensely missed by all who knew him,” the Houston Texans announced Thursday that linebacker Jadeveon Clowney tragically succumbed to his battle with a right-ankle sprain. “All of us in the Houston Texans organization are incredibly saddened to confirm that, unfortunately, Jadeveon didn’t make it,” head coach Bill O’Brien said during an emotional press conference, adding that while Clowney fought bravely to the very end, he passed away due to complications with the injury late Wednesday night. “The doctors did everything they could, but it was a high-degree ankle sprain, and his condition deteriorated quickly. All we can do now is keep Jadeveon’s family in our thoughts and prayers, and extend our deepest condolences.” O’Brien added that the Texans will wear special “JC” helmet stickers for the rest of the season to honor Clowney.